The most in-depth and clearest guide to understand what Steem is and what it can do for you! Bitcoin, like Steem is a cryptocurrency. Bitcoin was the first cryptocurrency. It was launched on January 3 2009. Steem is a cryptocurrency and social network which reward its users for the content they create. Every 3 seconds new Steem are created and distributed. Each Steem are currently valued at more than 26 cents and can be sold on many exchanges. Currently there are ~64,000 new Steem created every day or ~16,000$. Details about who receive those newly created Steem are under the sub-title name "Steem Rewards" and "Reward Pool". Steem is based on graphene which is based on DPOS as opposed to POS and POW. Steem is an open source software. It was launched on March 23 2016. Steem can currently process more than 100k transactions per second as opposed to around 7 for Bitcoin. In the future it should be able to process millions of transactions per second. Due to its decentralized nature Steem can't be censored or tampered with by any central authority. 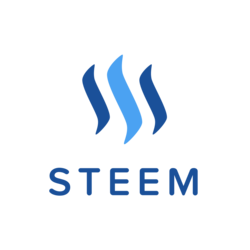 Steemit is a social news service which runs a blogging and social networking website on top of the blockchain database, known as Steem. N.B. Steemit.com give access to the Steem blockchain just like Busy.org (@ekitcho), eSteem (iOS) (android) (@good-karma) and many other websites and apps do. A ledger is a book or other collection of financial accounts of a particular type. What All of This Jumbo Mumbo Means? There is no need to fully understand what is above to understand Steem. 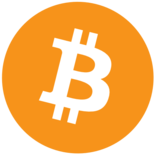 Also I plan on writing an in-depth post solely on Bitcoin at some point but there is no need to understand Bitcoin to understand what is below. Every 3 seconds since the genesis block   of March 23 2016 a new block is created. There are currently more than 11 millions blocks. The sum of all these blocks is called the Steem blockchain. Every block is a record of all actions taken by Steemians during those 3 seconds. Steemians are the users of the Steem technology. Steem witnesses are computers or nodes run by some Steemians. These are running 24/7. They provide the computational power required to process all Steem actions recorded on the Steem blockchain. This is communally called: "signing blocks". Those computers run the Steem open source software. There are 20 witnesses and 1 backup witness. Each 20 witnesses sign around 1400 blocks a day and the remaining backup witness blocks are signed by all remaining witnesses in a rotation. Signing block is done automagically as long as the computers and software are running properly. Top 20 witnesses are assigned block to sign at random. Anyone can vote for witnesses here. Everyone has 30 votes and these can be change at any moment. Those with the most "Steem weighted" vote become part of the 20 witnesses, all of the remaining witnesses are in rotation for the remaining witness slot in proportion to the vote they receive. Each witnesses receive an "x" amount of Steem for each block they sign. The full list of witnesses can be found here or here. I'll discuss Steem Witness in more detail in an upcoming article, how they are elected, how to set up a witness, how to vote for witness, etc. A Steem hardfork is whenever the Steem software is update and makes the old version of the software incompatible with the new rules or new version. Witnesses are currently running Steem version 0.18. There has been 18 hardforks. Some witnesses are running version 0.18.1 while others are running 0.18.2. These 2 versions are compatible. When a new version is released witnesses agreeing with the new rules and features are entice to update their software. It takes 17/21 witnesses running the new version for it to be activated. Hardfork are set to take effect at a precise block number. If there isn't enough witnesses running the new version then the rules and Steem features remain has they were. Steemians are paid for each upvote they cast. This is called curation reward. This is 25% of the content reward pool. Each vote and downvote lower voting power by 0.5%. With hardfork 0.19 each vote will lower voting power by 2%. Voting power is regenerated linearly as time pass. There is no limit to how many votes someone can cast but to maximize curation reward one should currently cast around 40 votes a day at 100% and 10 votes at 100% with hardfork 0.19. The sooner someone vote on a post which become popular, the better the curation reward with some exception. Voting power can be seen here or here. If you vote immediately after a post is made, then 100% of the curation reward will go to the author. If you vote after 15 minutes, then 50% will go to the author. Any votes made 30 minutes or later 100% will go to the curator. There's a lot more to curation than what is mention here but I will leave it to here for now. Steem exist under 3 different form. 50% of content rewards are paid in Steem Power the rest are Steem and SBD. Steem can be powered up. When powered up, Steem are called Steem Power. Withdrawing Steem Power is called Powering down. Powering down will automatically withdraw 1/13th weekly of your Steem Power and convert them into Steem. Withdrawing or Powering down 100% of your Steem Power takes 13 weeks. Also Curation rewards are paid entirely in Steem Power. More detail can be found in the wallet. The current post is the second of a series of essays on Steem. There is more to learn about Steem but this is a pretty good start. I'm also writing: "The ultimate Steembook"
Have fun and sign up! Financial wealth is just a tool and not an end in itself. Joy is what I'm about. Please consider upvoting, resteeming, following and also approving my witness. Follow the link below, type teamsteem at the bottom of the page, then click vote. Thank you to everyone who's been reading and Steeming! Questions and comments are very much welcome! Every 3 seconds new Steem are created and distributed. Each Steem are currently valued at more than 26 cents and can be sold on many exchanges. Currently there are ~64,000 new Steem created every day or ~16,000$. Details about who receive those newly created Steem are under the sub-title name "Steem Rewards" and "Reward Pool". And People of different countries are now connected with each other and apart from calling themselves by their name they all preferred called by name "Steemians" and it's show us that steem is more then a social media platform for all of us and iam sure by time passes we are going to see more people engaged with the community and more new Dapps are going to created on steem Blockchain and that would make steem a one of it's kind Blockchain. I remember it was December of 2017 when the Steem and sbd's value reached $8 and $16 respectively. Now the Steem's value is playing at $3 to $4. Not bad!! It has increased a lot since last year and Steemit has helped many lives through the rewards that we get just by posting original contents and interacting. Very nice and informative post @teamsteem! Hello @teamsteem, I would have loved to read this post, the day I decided to join steemit, I feel that it should be the introductory post of each of the people who join this network. This statistic catches my attention so much, maybe from the moment of publication, until today, the data differs, however, a block every 3 seconds is an important amount vs. time, at that time with only 60,000 counts, the amount of blocks impresses me, I imagine that today that figure can easily be tripled. I'm clear that prices vary, what I didn't know was that sbd generate interest, I definitely want to know more about it! Everything would have been easier for me to digest, starting with this publication (I should be on the home page of steemit) I feel that this project has objectives with benefits for everyone, that you can notice in the reward system, in general lines, I continue to learn and make my trip here as healthy as possible, I appreciate your practical way of teaching us, I wish you a great night. Thanks @Teamsteem for the post full of gold nuggets. Bookmarked ! With over 10 years in Online Marketing experience and working from my home full time for the past 9 years, I can honestly say that Steem is the most exciting thing I have ever been a part of ! And just think all these years I participated in online money making forums and places like Facebook and Twitter and NEVER made a single penny from my "content". That just blows my mind...and in the best way !! Observant of the Non-aggressiom principle towards all sentient beings. Keep being amazing, our support is with you always. Okay, I'll say a big thank you as I just got to know more about the Steem Blockchain and some of the terminologies used in the crypto space. 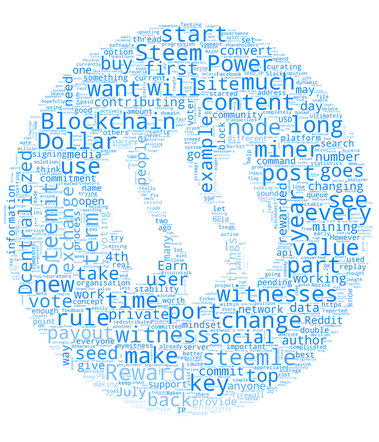 Could there be a hardfork where Steemians get to see this post as it will help understand the fundamentals of the Steem Blockchain and how it works and why it is necessary to vote for witnesses that help the community grow. I just learnt about Curation rewards fully here, never knew timing was of essence when voting on a post as it gets to influence both author and curators rewards. I have a question, what do you think about EOS, I'm still struggling to really understand how it goes. Will it have a social media similar to Steemit ? In all, I just want to say a big thank you to Dan and Ned for creating this platform as I've got to learn daily, make friends, interact with different nationalities and also gain financial freedom. Stay awesome always Sir Guillaume. Thanks once again for this compendium of knowledge . Wow this is truly amazing. Been here for few months but I can tell that I have more understanding with this. Wow... Now I know that Bitcoin was the first cryptocurrency and was launched on January 3 2009. Also gotten to know that Steem is a cryptocurrency and social network which reward its users for the content they create. Then, due to its decentralized nature Steem can't be censored or tampered with by any central authority. I was made tobunderstand that Steemit is a social news service which runs a blogging and social networking website on top of the blockchain database, known as Steem and that the project was founded in 2016 by Ned Scott and Dan Larimer, @ned and @dan respectively. These are truly amazing personalities. I've also gotten to know that a cryptocurrency is a digital asset designed to work as a medium of exchange using cryptography to secure the transactions and to control the creation of additional units of the currency. Blockchains are "an open, distributed ledger that can record transactions between two parties efficiently and in a verifiable and permanent way. Each cryptocurrencies have their own blockchain. There exist more than 300 cryptocurrencies. Steem witnesses are computers or nodes run by some Steemians and these computers run the Steem open source software. The content reward pool is often referred to simply as the "reward pool". Steemians are paid for each upvote they cast. This is called curation reward. This is 25% of the content reward pool. Each vote and downvote lower voting power by 0.5%. Interesting. You never cease to impress me...You wrote this overview a year ago and I bet it can still compete with many steemit overviews of today. I just wished that I had joined steemit sooner. Steemit has changed my life. I am getting punctual, open minded and one step closer to financial freedom each day I spend on steemit. Steem has shown me a ray of hope...perhaps one day, courtesy of steemit I can quit my lousy job and be on steemit 100%. I can be myself here, no feigning or pretending to be someone else contrary to the my current job. Please accept my humble regards...you are the role model for me to follow on steemit. Please let me know anytime if I could be of any service to you...it would be a genuine pleasure and honor for me. Steem witnesses are computers or nodes run by some Steemians. These are running 24/7. I will like to know how the above is implemented without the computers breaking down at some points or how do the steem witnesses supervise the activity of their computer when they travel? It takes 17/21 witnesses running the new version for it to be activated. The above represents more than 2/3 of the top witnesses, which is good. However, in view of the new version. What if some of the top witnesses do not welcome what the new version tends to implement in the blockchain due to some sort of personal reasons, won't it delay the advancement of Steem? And what do you mean by "entice" in the upgrading to a new hardfork? There is no limit to how many votes someone can cast but to maximize curation reward one should currently cast around 40 votes a day at 100% and 10 votes at 100% with hardfork 0.19. Meanwhile, I have a question regarding voting and Steempower please. Does voting power as at time of voting influence curation reward? To illustrate: I know the value of 100% upvotes decrease with number of votes one make. Now, assuming I vote 100% on 5 of Karen's post in a day at 30mins after her post, and all the 5 posts earn a total of say 43 or 45Sbds, will my curation reward be the same? .50% of content rewards are paid in Steem Power the rest are Steem and SBD. I interpret that statement to me that for the said 75% author reward (though not exactly accurate most times, another confusion), 50% should be in sbd and the other 50% of the reward should be in Sp worth of 50% Steem assumed powered up at the post payout time. Can you explain more in layman's term please. I wish I can fully understand how cryptocurrencies work. I am thankful to you for the links to your works. I will appreciate your reply on this. What if some of the top witnesses do not welcome what the new version tends to implement in the blockchain due to some sort of personal reasons, won't it delay the advancement of Steem? It's better to be over cautious with updates than be zealots and risks too much. Does voting power as at time of voting influence curation reward? Yes but you shouldn't mind as your curation reward are probably too low for you to really mind about them. Hey @Teamsteem. Hope you have a good time in the States. I am glad you rolled up this blog again. It is still relevant and so informativ! Sometimes these older posts are hard to find and your contest helped me to read this! I did not know a lot about Steemit and I like that the founders were creators of Bitshares. That's some solid backround! Enjoy your travels and maybe we will hear you again on discord! But here i really cant say much on topic side of things, since you covered almost everything perfectly. Its very straight forward and easily understandable what you wrote and thats the core when writing a somewhat of a "midrange difficulty introduction" post on Steem. You basically gathered all the info on Steem, explained it a bit and let the reader move from there and make his own conclusions about how the system operates in practice. I see little bias here or any intention to try and force an opinion in what ever way onto the reader..
Wow, a year later and the value of steem has again increased. At the time of this writing bitcoin was valued at $38 and Steem .26 cents. You said then, you’ll say it now, take the time to learn. Even in your brief description, I had to click on all the links for further explanation. From the Blockchain technology being based on grapheme and PDOs to learning about the early days. It’s a lot of to take in and even after being here a year it’s still confusing. On top of that, I do have a question about the witness. Why do the witness decide on the hardforks and run the servers and not the company steemit.inc? If this platform is open source and decentralized, wouldn’t having a top twenty witness make us centerlized? The witnesses are voted so it's decentralized. Steemit Inc is a company with centralized governance. I'm glad you liked this post. Greetings to you @teamsteem! I hope you have a good vacation in the USA. I joined Steemit in December last year and this blog is giving a good overview. It is very precise and down to the facts and at the same time easy to understand. I am intrigued by the block creation of every 3 secs , I am wondering if that is faster now, since there are more Steemians and improvements have been made. I also find it useful to learn more about Steem Witness. I voted before and I am amazed how many responsibilities witnesses have. I believe it is crucial to have realiable people out there that manage the technical aspect as well as the economical aspect. I have found that the witnesses I had contact with put Steemit in front of their own interest and pursue an overall good for the whole platform. I hope you have a wonderful time in the States! The block time is still 3 secs. cool! Thanks. Still amazing ! I had no idea about this. When you day 100% goes to the author, does it mean that the curator gets nothing? Does it that the curator gets something only when he votes after 15 mins?. This is really helpful, i tried reading the whitepaper sometime ago and i felt dumb cos i didn't understand it well. But this is clear and concise, thanks for posting this. If someone vote at 0 minute then all their curation goes to the author if they vote at 15 minutes 50% of their curation reward will go to the author and the curator get 100% of their reward if they vote at 30 minutes. The relation is linear. Great article! Very well written and easy to read for Steem newbies. It's a good article to share with friends on other social media to tell them about Steem. Much better than giving them the (obsolete) whitepaper. Yeah! This is the crowd sourced version of the updated whitepaper. If you speak English and want to be understood, I'd suggest you write in English. Please don't reply in Russian. Thank you. I spent some time this winter blogging and replying on the Russian Steemit, - GOLOS... using translate and whatnot.... I have not been back in many weeks. Thanks for the overview. Still so much I don't understand and this was a very helpful start. I've voted for your witness :) (Although, to be honest, I don't understand that much either. Haha!) Going to read the A to Z now. Thanks again! I understand it can be really tricky. I've putted so much time in learning all this and it took a lot of questions to really nailed it. I wish I read this post when I first joined Steemit! It took me 6 months to learn about what a Steemit witnesss does. It took me a month to figure out that there is two currencies, not three. Great post, super well written. I will go vote for your witness, you are a hard worker and frankly, I trust you. We do not talk much but for sure, I see you are asking for those votes now and I will be glad to do that. You should update your witness directions for people though, tell them how to find/vote for you, not on the main list of visible candidates. Also, your witness account is named the same as this account? Some are different as you know. Thank you very much for your trust and support @barrydutton. 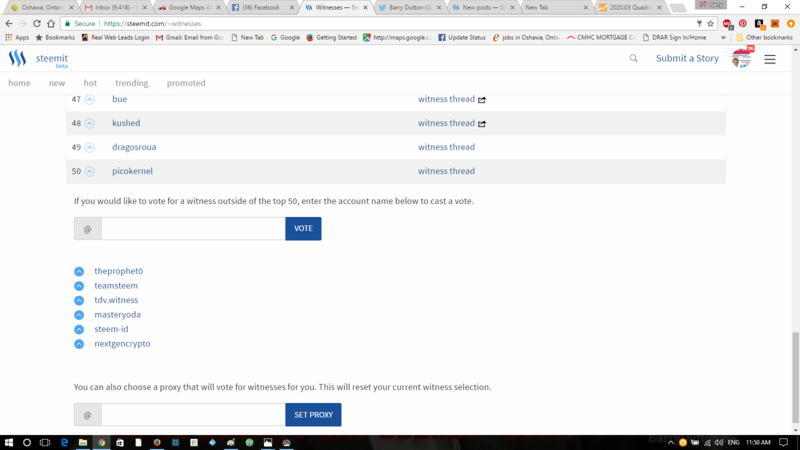 I followed your recommendation and added detail on how to vote for my witness. I really appreciate your dedication since I first saw you in those couple video you have on your Youtube channel. You know which one I'm talking about. Let us all unite to great a better world. And you know this as much as I do, cryptocurrencies and Steem in particular will play a special role in all of this. Thank you again and have a nice day! Aw man, your words really encouraged me today!!! GBY brother, have a nice day!! and thanks again. Awesome! Thank you very much for your support and advice. Thanks for the encouragement. My funny 70 rep score post is now up. I hope one day we get to meet man, just keep in mind I am east of Toronto if you are out this way, I am right off the 401 - not far at all. Next time think about leaving a meaningful comment. This way there's more chance people will follow you. Thank you for reading. Thank you - I will share this on facebook to convince the doubters! A fantastic comprehensive post. Awesome. I'm glad you appreciated it! I think it can be a very good introduction to Steem. You're right. Great job with breaking down these many points in a simple fashion. Nice! Joy is the guiding principal in all things! Awesome! Every comments are very much appreciated. They tell a lot. Even if it's only a couple words. Just in case you didn't notice! I know! The feeling is freaking awesome! I worked hard on it and I'm glad it will help a lot of Steemians and Steem in general. I'll buy cases of mangoes with all those Steem or rather keep the Steem to later replant the whole earth with mangoes, the good one. Thank you for the compliment on my article. I think it would need some reworking to make it there as an approved welcome page but for some reasons I don't think it will do. To many tangents if I can express it this way. You don't seem the type of person to STOP trying. Congratulations! Your comment was nominated for the Comment of the Day #3 Contest and won second prize! You will now receive a 60% vote from me and my trail and after payout 30% of the Steem Dollars the post made! That contest is a super nice idea @acidyo! You're clearly onto something and that you for the prize. Nearly doubled in value since last nite now nearly $200 and 500 views too! If you look in the wallet, next to Steem Back Dollar, there's a button called "convert". If you convert Steem Back Dollar today you would have a bit less than 4 Steem because Steem is worth around 27 cents. If the price of Steem was worth 1 dollar you'd receive only 1 Steem and if the price of Steem was 2$ you'd receive 0.5 Steem and so on. This process take 3.5 days. Thank you for your great question. I'll think about adding the information to the post. Steem are Steem that haven't been powered up. Steem don't give voting power and down generate interest. Even if you'd had 1,000,000 Steem if they aren't power up you're vote will be worth $0. You can send Steem to anyone and thus to exchanges to sell them but you can't sell Steem Power. To sell Steem Power you have to power them down. If you still have any problem understanding it, just let me know. How Do I earn or get Steem? Steem fluctuate in price. SBD don't fluctuate. They are worth 1USD back by Steem. You receive SBD, Steem and Steem Power when you post. It's possible that sometimes you won't receive any SBD for a post. But that's for another time. Now I think you should get it. We can't remove them or we could but that would be removing nice functionality. Oh..what? suppose I have $10 SBD today and today steem price is 0.28 cents ....and in next month steem price is 0.33 cents... and if I still have $10 SBD .. what is the value of my SBD in both cases............suppose I hold $10 SBD for 2 years and steem price is $5 then what... BUT you say SBD price doesnt not fluctuate.. Suppose I want to hold my Steem earnings for long term and I am betting on a big price increase in next 5 years.. Which currency I should be holding my earnings out of the 3 currencies..? Which would be the most profitable....*I am sorry again .. I remain confused. @TeamSteem and you also said "You receive SBD, Steem and Steem Power when you post." NO I only receive SBD and Steem Power, but no STEEM check my wallet. There is no way to earn STEEM. SEE I am online and I could not understand this in 1 hour.....This is a problem... this should be simple...If I dont understand it then will i be active here..most likely not. Before I give me my time here I need to be clear... Time is a valuable thing. I still find other social media platforms easy.. alright they dont pay...but there is a lot of traffic and engagement there. My posts get like $0.3 cents I mean at least I get branding and comments on other platforms...all I see on steem all day long is bitcoin talk....and I struggle the entire day figuring this platform out. Any of the other platform you're using hasn't built their traffic instantaneously. They gain popularity over other platform because they had something others couldn't offer and this is the case with Steem and why Steem is going to grow to be very popular. Also simple doesn't mean it shouldn't be complex. Simple should rather be reference as build intelligently. I can't learn to fly a plane in 1 day but doesn't mean plane shouldn't exist or thatthey aren't build intelligently. The best currency to hold long term is Steem Power. 10$ of Steem Back Dollar is worth 10$ USD no matter what the year you're in. If you have a receipt for 10$ back by gas then the price of gas can fluctuate meaning you might have more or less depending on when you exchange your receipt but it will be 10$. The amount of gas you'll receive will fluctuate not the value of you receipt. Same will Steem Back Dollar, the only difference is they're back by Steem. So if you hold Steem Back Dollar and the price of Steem goes up you don't benefit from the price appreciation. Holding SBD is almost like holding USD. It is sometimes very hard to find good information when going down the rabbit hole with Steemit. There is one resource I am still searching for. Is there a way to check which upvote added how much to a certain post? Let's say a post earned $10, is there a way to see which votes added how much? If you would have some sources on that one, that'd be great! I am searching to find something but didn't find anything close. Once again, great article! It answered some of the questions I still had. Similar option is this website but it doesn't give the %. The perfect links to keep on exploring! Most of the FAQs I can find are usually catered to the beginner. We certainly could use some guidelines for advanced understanding. Awesome. I'm currently working on a re-edition of my "The Ultimate guide to Steemit." I would certainly be interested in reading that. Any drafts that are publicly available? Both links will be of tremendous help if you didn't knew them already. 50% of content rewards are paid in liquid Steem (Steem and SBD). Powered-up Steem, not liquid Steem. Also, this is only the default setup and the user can alternatively decide to power up 100% of the payout or fully decline the payout. Steem can be power up. A typo, I guess you meant: Steem can be powered up. Powering down will automatically withdraw 1/16th weekly of your Steem Power and convert them into Steem. Withdrawing or Powering down 100% of your Steem Power takes 4 months. It's roughly 3 months. Exactly 13 weeks. Thank you! I knew there would probably be some minor errors here and there. Thanks you for pointing them out. I corrected all of them besides the first one. Aren't author rewards payed 50% liquid 50% non-liquid? I know curation reward are 100% SP so my statement isn't correct either way. I think the default is 50% powered-up Steem (not liquid) and 50% Steem dollars (liquid). Now I understand the misunderstanding. I meant to say 50% are Steem and SDB. I'll make this clearer. Thanks again! Now we just have to get signups up and going again! Does that mean they weren't working? I had my wife sign up this weekend and still waiting to get approved, should she just sign up again? Thank you for the clarification. I think you're right. @teamsteam, I'm seriously excited about Steem. We have an awesome opportunity here with steemit. We can trade Steem for bitcoin, so that makes the currencies equals. Steem On Dude! Yup! The platform and Steem price are performing really well. This is very exciting indeed! Yes!! This is a perfect overview. Thanks for your great work. Great overview. Will use this post to introduce others. Yeah thank! I think it can do a very good job at introducing serious people. Very well done...If I understand it, it must be! That is awesome! That will get me posting! I've been on here since the end of Nov. and until today (except for little bits and pieces) had very little idea how anything worked. I powered up because someone finally explained it would help in the long run. Now I actually understand why... this is very well explained... Great Job!!! Wow! Thanks! This means a lot! Seriously! It's me that should be thanking you (and I do)! Resteemed & Followed! Very good overview. Simple and to the point. Thank you! I'm glad you enjoyed it and it helps. This is great, very thorough and the updates are included and good too. Very nice work as always man! Awesome post :) Thank you for putting this together! I'm glad you enjoyed and thank you very much for the resteem! That was great. Perhaps for the first time things are beginning to click! Thanks @teamsteem for this wonderful article. It was really informative. I have a question about this 7 days thing in steemit. If my understanding is correct, a post/comment will be rewarded only for 7 days when it is upvoted. Why is that the case? Why can't a older post be rewarded? I see this post after 8 months from the date of posting because I joined only a month before. Is it that even if I upvote this post it is of no use to the author? Can you please explain? The vote have no use after 7 days. The reason is computational power. This is what limit this 7 days thing. But as long as the price of Steem goes up it's as if we are paid for older posts too. 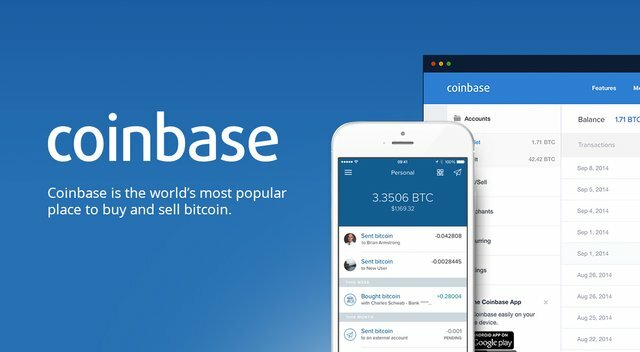 Join Coinbase and get $10 (€8) of complimentary Bitcoin when you first buy or sell $100 (€86) of digital currency. Very informative post. Clears some of my doubts and question. Thanks for the post. Awesome! I'm glad you got something out of it. I wish I've seen this post a week ago. Well done mate. Thank you for article. Nice review about what is Steemit. UPVOTED and FOLLOWED. Wish you a good continue here. Thanks for the great resource, I will be linking people that are interested in learning more about steem to this content. Thank you @azfix and thank you for approving my witness. I really appreciate. My pleasure, I appreciate all that you do for the community! Best and informative article ! thank you so much @teamsteem !! Thank you for that compliment. I'm very happy you enjoyed it. Fantastically put together. There is so much info here! I read the whole thing with pleasure. This will be so useful for many new users! Thank you @exyle! Let's spread this! succinctly put. I dont think anyone could have done it better. Well done brother. Upvoted and resteemed. Nice job. Thank you very much @oldtimer! Of course resteemed! The best article about introducing steemits system I've ever read! YES! That's exactly what I was aiming for! I'm glad you liked it @knircky! One thing that I would like to understand better is the the creation of SBD and how the reward steem get converted to it. That to me is a bit of a detail that would be worth explaining. Now if the price of Steem goes down to $0.50 and you still holds the SBD you can now redeem 60 Steem through the process called "convert" located in the wallet. This process takes 3.5 days and the amount of Steem you will receive is based on the median price set by the Steem witness during those 3.5 days. On the other hand if the price of Steem goes up to $2 you can only redeem around 15 Steem for your 30 SBD. Yep this is a good explanation. So the steem from the block reward get converted into SBD and then destroyed? Or instead of steem reward part of block reward is sbd? If the pool owes you a 30$ liquid payout it will give you 30 SBD and not 30$ worth of Steem. The Steem never gets created or rather they are created in the form of SBD. And when someone covert SBD to Steem then the SBD get's destroyed and change into Steem. I just posted a short, more basic intro to the newcomer...this is a post that helped me!! Thank for sharing this great article I have learn a lot from it, thank you very much I will vote for you, follow. Very helpful overview, thank you! I very glad it helped! Thank you very much @buster544! I do think so too! I can’t comment, so I,ll comment on why I can’t comment. I’m new to Steemit as well as crypto currency. I have a Blockchain wallet (wow) and a Coinbase. I figured out how to send money to Steem and how to power it up (wow). I do not totally understand the concepts however and I know the general population of humans are just on for the ride (dead fish stats) but I can’t help but see the future here looks promising. I’m not a professional blogger so I’m not sure what that leaves but commenting in order to remain undead? On commenting for example, YouTube commenters in say Politics are just blurting out polarized hate and frustration and hitting enter. Steemit people of the same character and in the same category and I have experienced them, seem to be more up for the response like you would experience in a “public Face to Face” meeting. I think that’s the crypto community factor being experienced in Steemit. People commenting are more likely to think of their reputation in here. And hey who hasn’t seen the bootlickers in here wow can’t stir them with a two by four but again that’s just inexperience in the system much like I have. You can say whatever you want unlike YouTube where speech is restricted. It just KILLS some people to have a zero by their comment next to someone with fifty by theirs so they try bootlicking. People are happy to comment on YouTube with no results at all and worse yet possible speech restricted!! So, I am believing in this platform of governance and even though I see some missteps here I probably just missed the original intent. Please keep providing explanations like this in the future because I don’t see where Steemit search has any suggestion analogues pulling up videos reflecting my interest. One last random comment. Will Steemit ever see totally autonomous A I crypto witnesses? Or put a different way, will artificial intelligence ever be a witness? Thanks VERY much for your post. More please. Hmm. I don't think people would ever vote for AI witness but a lot of witnesses do can be help by scripts to automate things a bit. I do thank you for all of the information that you have posted. I am new to Steemit and I still find it confusing even with your great post. Some of the terms and how to best use Steemit are my challenge at the moment. I hope that by osmosis things will start to fall into place for me. I am following you and look forward to more of your post. Cool! I'm glad you read that post. This post really is the foundation to any serious Steemian. This article is a great resource for people like me who are trying to figure out how Steemit works. I was trying to explain it to a few friends who love to write, but found myself stumbling around the words. Now I can just send them to your article and tell them to read them all and "Follow" you. Well done, you deserve the rewards. Thanks! Also one more question: If the content payout is 15% for Steem Power holders - does that mean all Steem Power holders in the SteemIt community or just the Steem Power holders who created, commented, and voted on the post? Thanks! Question 1: 75% of the reward that appear will go to the author and 25% of that reward to the voters just the same as a post. Question 2: To every SP holders. It's interest on SP whether someone is active or not doesn't change anything. Thanks @teamsteem, youve been an incredible help! I'm a newbie and this article it's a great start. I will read next articles you wrote. My interest in Steem and cryptocurrencies is growing thanks also to your job. Thank you very much for all the information. It's so helpful for the newbies like me. Plan to read all your posts, though a bit difficult to digest them all now. Awesome! If you want to learn Steem make sure to read my post about witnesses. To understand cryptocurrencies better make sure to read my previous 2 posts. One of my best post is the one about Dan Larimer the main inventor behind Steem. That Dead Prez album is awesome. I love it so much. Click on the referral link bellow and get $10 (€8) of complimentary Bitcoin when you first buy or sell $100 (€86) of digital currency on Coinbase. Thank you, really helpful reading! wow! nice one. This is helpful to me especially. I hope the values stated here are still valid? I'm pretty sure it's still 99% correct. You can see how new Steem are split here. The numbers are a bit different but that's mostly because of a lot of the curator rewards are going to the authors because curators are voting for authors before the 30 minutes marks. Ook. Thank you once again. Great work you have here. It would really help in our presentations on introducing steemit to youths in my community. Best regards. Master-class summary! Will definitely show this to others! Awesome! Thank you @rebelskum! I definitely encourage people to share it. I think this will be the best guide for quite a while. This was a great summary of Steemit! Thanks! Awesome! I'm glad you liked it @kus-knee! Awesome! Keep up the good work and thank you for your comment! Awesome! I'm now following you on twitter! This is an excellent summary, thank you. Thanks @benjojo! I appreciate you taking the time to read and comment. Take care! How awesome! You used it before it even existed. Thank you my friend @ausbitbank! Thanks for explaining this in much detail. It was very helpful! the perfect guide for new comers !! well done!! Awesome! Thank you very much for taking the time! This is really helpful. Thank you teamsteem! I think so. I'm glad to see so many good comment on it. I think it will help to explain Steem to everyone who would love to understand and this for quite sometime or at least until someone put out something better. Great job updating your witness info here. Maybe turn it into a banner or similar you can pin to the bottom of each of your posts to save you time and keep that consistent. Wow, this post made a ton of crypto and has nearly 500 views! This is amazing for you. 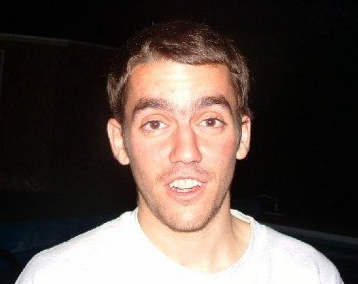 All my posts make about $3 if you average them out hahahahaha!!!! Steem On man! Great work!! I agree. I'll have to turn this into a banner. I'll see what I can do but there's so much to do it's hard to keep up. I'm super stoked by how good this post did. Aw common you have a couple of much better paid post than 3$ and you are in the best paid authors for quite a long time now. I would consider asking @rigaronib here for logo help, he is very nice and VERY talented in graphics!! !